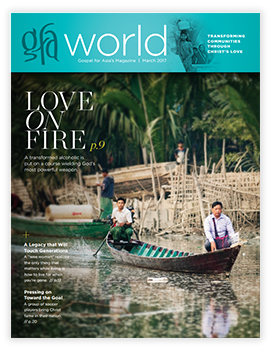 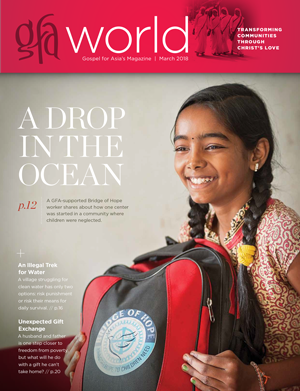 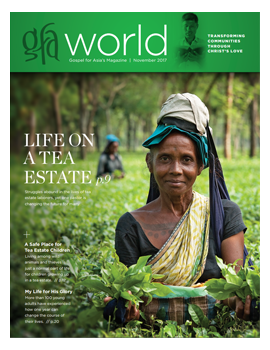 GFA World is published three times per year by Gospel for Asia, Inc.
Below are the web adaptations of the printed magazine. 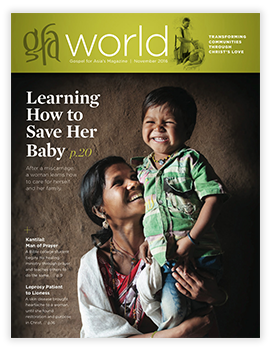 We did this to make it easier for you to read each compelling article online. 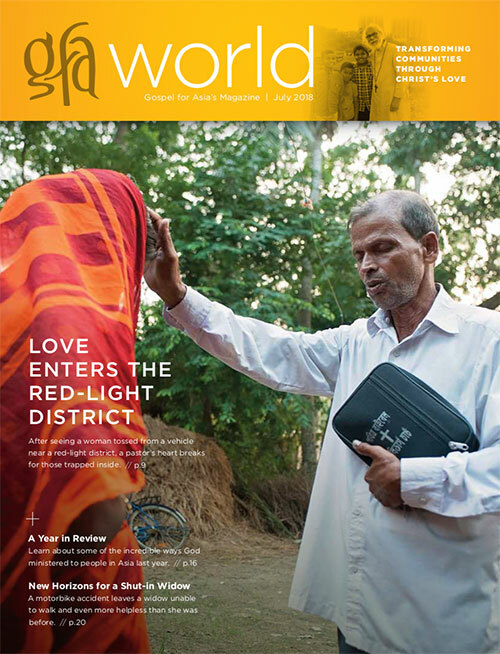 If you'd like a copy of the printed magazine, please call our office and request the issue you'd like. 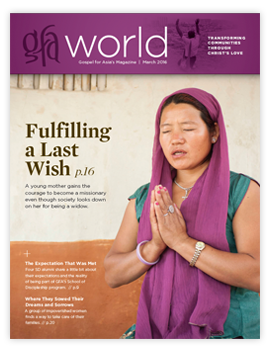 Prayer Focus: Where Will She Turn When Her Family Has Deserted Her?